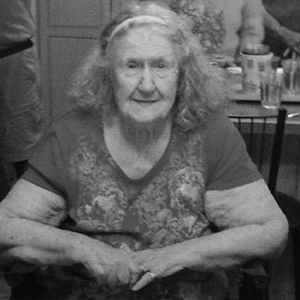 Florence H. “Flossie” Goodwin Grant, 90, of Charlotte, died Saturday, August 4, 2018 at her residence. 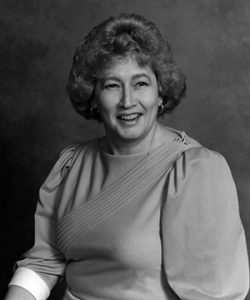 Flossie was born October 3, 1927 in Pitman, New Jersey, the daughter of the late Howard Earl Kiger and the late Sarah (Gaunt) Kiger Shaw. Flossie graduated from Bridgeton High School and was married, for 58 years, to Martin D. “Marty” Goodwin, Sr. who predeceased her in 2004. Flossie worked as a bank bookkeeper, and at Anchor Hocking Glass before moving, with her husband and family, to Michigan. In Michigan, she worked at Eaton Federal Bank then at Hayes Green Beach Hospital where she retired 20 years later. Flossie and Marty were members of the Holiday Rambler Club and loved camping at Strawberry Lake, which was her favorite spot. Flossie also loved snowmobiling at Houghton Lake during the Tip-Up-Town Festival, collecting blue Fenton and Wheaton glass, crocheting, creating hand-made quilts, going to yard sales and “refunding”. In 2006, Flossie married Raymond Grant and they resided in Charlotte until her death. Flossie is survived by her husband, Raymond Grant and her loving family: daughter, Peggy (David) Woodbeck; grandchildren, Bryan (Susan) Woodbeck, Gretchen Anderson Goodwin, Martin D. (Threasa) Goodwin III; nephew, John (Roseann) Murray; niece, Janice (JJ) Furtek; six great grandchildren; four great-great grandchildren. Also surviving are stepsons, Paul Grant, Don (Marcia) Grant, Rob (Wendy) Grant; stepdaughter, Pam (Nelson) Appelman; nine step-grandchildren; 10 step-great grandchildren. 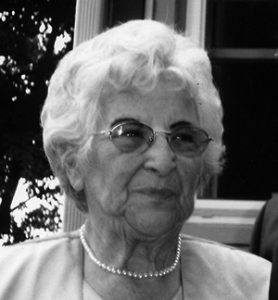 Flossie was preceded in death by her first husband, Martin D. Goodwin, Sr.; son, Martin D. Goodwin, Jr.; sister, Mabel C. Murray, who was her best, lifetime friend; brother-in-law, Christopher “Ray” Murray; granddaughter, Candance Ann Woodbeck; great-granddaughter, Laura E. Woodbeck; brothers, Walter and Carl Kiger; and, stepson Randy Grant. Relatives and friends were invited to attend the funeral service at Pray Funeral Home in Charlotte, Thursday, August 9. If desired, the family suggests any memorial contributions to Hospice of Lansing and/or Chester Gospel Church. Friends and families are encouraged to share memories on her tribute page at www.PrayFuneral.com. 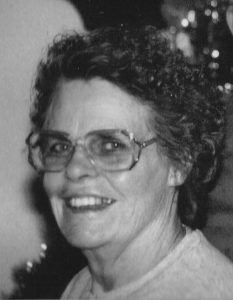 Janet Ann Barrette of Holt passed away June 10, 2018 at the age of 81. She was born in Vermontville on July 24, 1936, to John and Daisy Hokanson. Jan worked as a nurse for many years at Lansing General Hospital. She transitioned to private healthcare in the Mason area after retiring from full time nursing. Jan enjoyed cooking, travel, and spending time with family and friends. She loved to be involved in the community and thrived when helping others. Her contributions include working with the RSVP organization as a volunteer at Capital Region International Airport. She also volunteered at McLaren Orthopedic Hospital. Another one of her passions was working in the community garden at St. Michael’s church which is an outreach for many people in the neighborhood. Jan is survived by her children, Kevin (Drenda) Schultz of Shattuck, OK; Kristi (Dan) O’Donnell of Keswick, VA; Karen (Gary) Wilkes of Eaton Rapids, MI; 8 grandchildren; 10 great-grandchildren; several nieces and nephews; and brother, John Hokanson of Charlotte, Michigan. She is preceded in death by her parents; son, Kary Schultz of Mason, and four siblings. A Celebration of Life memorial service will be held at 5 p.m. on Saturday, August 25, 2018 at St. Michael’s Episcopal Church, located at 6500 Amwood Drive in Lansing, with Reverend Nikki Seger officiating. Visitation will be held one hour prior. In lieu of flowers, memorial contributions can be made by those desiring to St. Michael’s Episcopal Church, in Jan’s memory, for the continuing support of the community garden, or to McLaren Hospice and Homecare Foundation. The family was cared for by Riley Funeral Home, www.rileyfuneralhome.com. 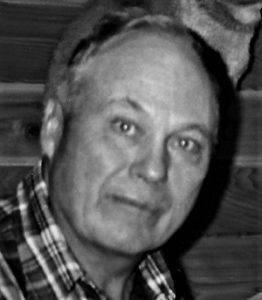 James William Rawson Jr., 61, of Eaton Rapids, passed away Monday, August 6, 2018 surrounded by his loving family. 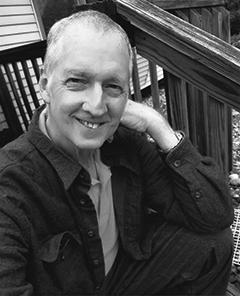 James was born on October 18, 1956 in Grant, Michigan, the son of James and Betty (Hathoway) Rawson Sr. He grew up in Casnovia where he worked on the local orchards and was a graduate of Kent City High School class of 1975. James worked for Meijer Warehouse as a high-low loader from 1975 until his retirement in 2016. He enjoyed hunting, fishing, singing karaoke and working on cars. His greatest joy was spending time with his family especially his grandchildren. He is preceded in death by his father, James Rawson Sr. and brother-in-law, Doug Haskell. Surviving are his wife of 16 years, Vivian Rawson; sons, James Lee (Melissa) Rawson, Casey (Carisa) Rawson, Dexter Rawson; grandchildren, Matthew, Megan, Zachary, Steven, Brianna, Jude, Jase, Vaidabel; sisters, Debbie (Mike) Lustey, Coni Haskell; brothers, Duane (Lori) Rawson, Calvin (Delia) Rawson; first wife, Donna Grow and numerous nieces nephews and extended family and friends. A memorial service will be held at a later date. For those desiring memorial contributions may be made to the Rawson Family in care of Vivian Rawson. To share memories or condolences please visit www.SkinnerFuneralHomes.com. Frances Eunice Lee, 99, of Charlotte, died peacefully at home Wednesday, August 8, 2018. Frances was born June 8, 1919, in Flint, MI, the daughter of Ora and Mabel (Fuller) DeLong. At an early age, the family moved to the Upper Peninsula to follow the logging industry. The Great Depression soon struck, and they moved around Michigan wherever jobs could be found. During this time, she met a young man working in an onion field near Plainwell, Maxwell Lee. The two fell in love and soon married and moved to the Eaton Rapids area. They often spent winters in Alabama, where Frances served her country as an LPN at Camp Rooker. Later, during WWII, she continued her service as a true “Rosie the Riveter” at American Seating in Grand Rapids. They later moved back to Eaton County, where Frances worked as an LPN for many years, including time in eldercare at Storybook House in Eaton Rapids. Frances loved time spent up North at her home on Huffman Lake, near Vanderbilt. She claimed she could make Gaylord in two hours with her Pontiac. As soon as she arrived, she’d make her way to the lake to spend time fishing, her favorite pastime. She enjoyed walking in the woods of “God’s Country,” searching for mushrooms and taking in nature. Frances made the world’s best chicken and dumplings and enjoyed cooking for her many family members. Her children and grandchildren will forever remember her sweet youthful voice and her spunky spirit. Frances is survived by her daughter, Dixie Nevada Wright; son, Robert E. (Janet) Lee; grandchildren, James (Jill) Wright, Chris (Tom) Bennett, Dana Wright, Fran Wright, Dean (Becky) Wright, twins Terry and Garry Wright, Shannon (Tom) Mercier, , Robert E. Lee, John (Coffee) Lee, Mike (Jannetta) Lee, Frank (Adnra) Lee, Edward Lee, and Carrilyn Lee; 19 great-grandchildren; and 16 great-great-grandchildren. She is predeceased by her husband, Maxwell and her son, “Bud” Lee. A Memorial Service will be held at 12:00 noon on Saturday, August 18, 2018 at Pray Funeral Home with Pastor Charles Jenson officiating. Visitation will be from 10:00 a.m. – 12:00 p.m. just prior to the service. Interment at a later date will take place in Rose Hill Cemetery in Eaton Rapids. If desired, the family suggests memorial contributions to Eaton Community Palliative Care. Friends and family are encouraged to share memories of Frances on her tribute page at www.PrayFuneral.com. The family is in the care of Pray Funeral Home, Charlotte. Joyce Yvonne Lynd, 72, of Charlotte, died peacefully Sunday, July 15, 2018 in Charlotte. Joyce was born September 30, 1945 in Charlotte, the daughter of Elmer Percival and Alice Elaine (Prescott) Arnold. She graduated from Bellevue High School in 1963 before earning her Nursing degree. Joyce married Robert Neil Lynd on April 10, 1965 and the two enjoyed nearly 52 years of marriage until his death in 2017. Joyce dedicated her career in nursing to serving others, working in several capacities throughout over 40 years. She worked as an OB and outpatient nurse at Oaklawn in Marshall, 11 years in Lakeland, Florida, and retired from Hayes Green Beach in Charlotte. In her spare time, she and Robert enjoyed time spent traveling with family, especially visiting the natural beauty of Tennessee and Alaska. She was an avid crafter, creating treasures of all kinds for her grandchildren. Joyce is survived by her daughter, Tiffany (Brad) Clarke; son, Ryan Lynd; four granddaughters, Aliah Dingwell, Amanda (Tim) Neitzel, Erica Clarke, and Neva Clarke; three grandsons, Braden Clarke; Alex Dingwell, and Levi Clarke; great-grandson, Caiden Neitzel; great-granddaughters, Reagan Clarke and Addison Neitzel; sisters, Karen (Eugene) Fata and Paula (Stu) Dillin; brother, Tom (Nancy) Arnold; and several nieces and nephews. She is predeceased by her husband, Robert; and brother, Bryce Arnold. A memorial service was be held on Tuesday, July 24, 2018 at Pray Funeral Home, Charlotte, with Pastor Deano Lamphere officiating. Private interment will took place in Ft. Custer National Cemetery in Augusta, MI. Memorial contributions may be made to the American Cancer Society. Friends and family are encouraged to share memories of Joyce on her tribute page at www.PrayFuneral.com. The family is in the care of Pray Funeral Home, Charlotte. Kerry “Top Gun” Simons, 66, of Grand Ledge, died July 20, 2018 at home surrounded by his family. He was born March 9, 1952 in Lansing, the son of Donald and Laura Simons. He was raised in Grand Ledge and attended Grand Ledge High School, relocating to Maine after graduation. He married Gretchen Graham on December 10, 1982 in Massachusetts. He and Gretchen started their family in Maine and decided to move home to Grand Ledge when the children were young. Kerry had a successful career as a realtor, first with Key Realty, and concluding his career with ReMAX Home Professionals. He earned the nickname “Top Gun” at the beginning of his real estate career, and earned many awards in the greater-Lansing area. Kerry is survived by Melissa Graham, Zachary (Mercedes) Simons, Casey (Sandy) Simons, Sean (Stephanie) Dush, and Amy (Antwan) Randolph; and 18 grandchildren. He was preceded in death by his wife, Gretchen Simons in 2015, and both of his parents. A celebration of life will be planned, per Kerry’s wishes, in the near future. 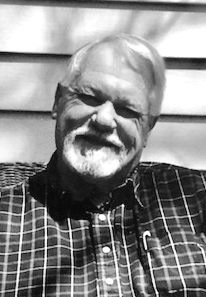 Mark Steven Wehr, 68, of Charlotte, passed away Thursday, July 26, 2018, following a lengthy illness. Mark was born March 24, 1950, in Lansing, the second child and only son of Maxon and Dorothy (Wildeman) Wehr. He graduated from Charlotte High School and was a past member of First Lutheran Church of Charlotte. 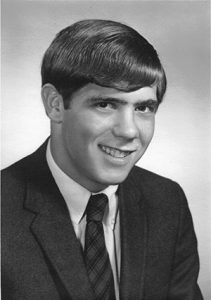 Mark was a Veteran of the Vietnam War, having enlisted in the US Army right out of high school. He lived in Florida for several years before returning to Michigan, where he worked for the US Post Office and Wehr’s Shoes. In his spare time, Mark enjoyed working on cars and watching football. Mark is survived by his parents, Max and Dorothy Wehr of Charlotte; sisters, Judith (Phil) Hooper, Kay (Darwin) Mahar, Mary Jo (Brian) Huver, Polly (Paul) Burns; three nieces; three nephews; and four great nieces and nephews. A memorial service was held on Friday, August 3, 2018 at the First Lutheran Church of Charlotte. Interment took place at Maple Hill Cemetery following a luncheon at church. Those desiring may make contributions in Mark’s honor to Disabled American Veterans or Wounded Warrior Project. The family is being served by the Burkhead-Green-Kilgo Funeral Home, Charlotte.